Indulge yourself in a very comfortable chair and let us groom your nails and cuticles to perfection. 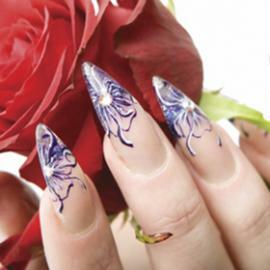 This technique is followed by a tension reflex hand massage, cuticle treatment, and finishing polish that leave your hands soft and supple. The Deluxe manicure is the perfect way to pamper your hands. Exfoliating crystal is added to the Basic Manicure that leaves your hands feeling enriched, vibrant and healthy. Experience the best & chip free manicure technology Brand 14 + day nail color is designed to work as a system each step from base coat to color coat to top coat to be sure you receive a superior service. Indulge yourself in a massage chair and soak your tired and weary feet in our spa. 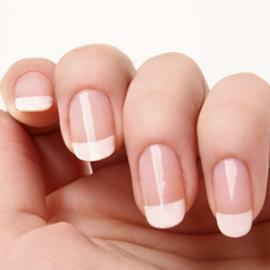 Let the enriched experience begin as we groom your cuticles and nails to perfection. This thirty minutes relaxation comes with callous treatment and a tension reflex foot and leg massage as well as finishing polish. This is the perfect way to pamper yourself Treat yourself to the Deluxe Spa Pedicure, it incorporates the Basic Spa Pedicure, sea salt treatment, a special spa mask as well as cooling get that will leave your feet feeling great and rejuvenated, include paraffin hot wax.